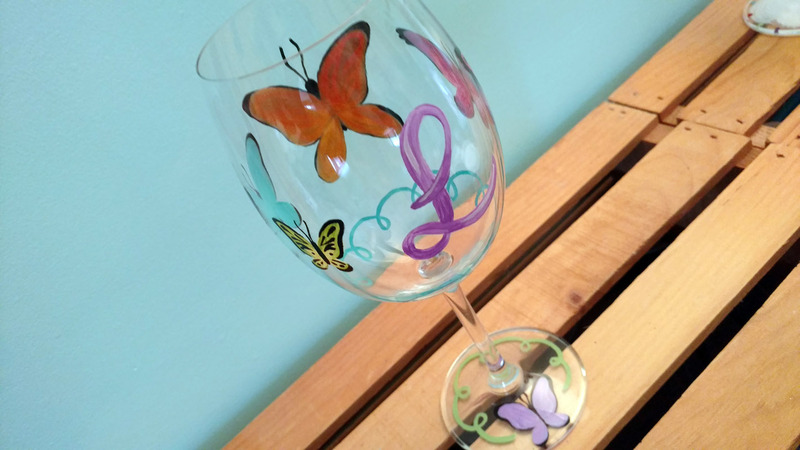 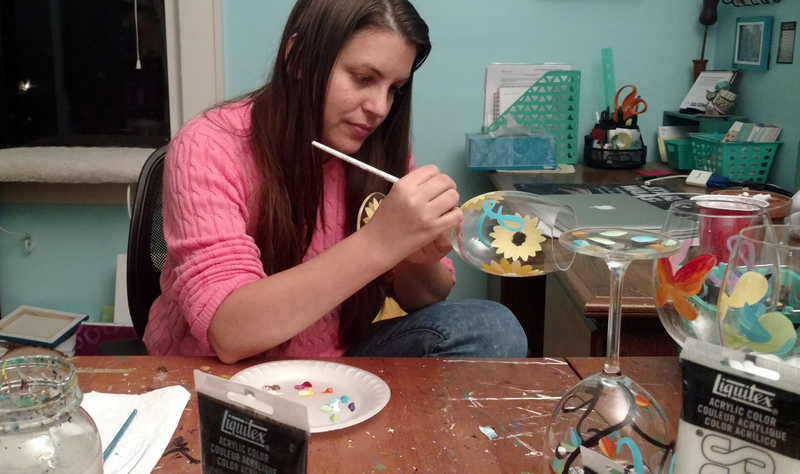 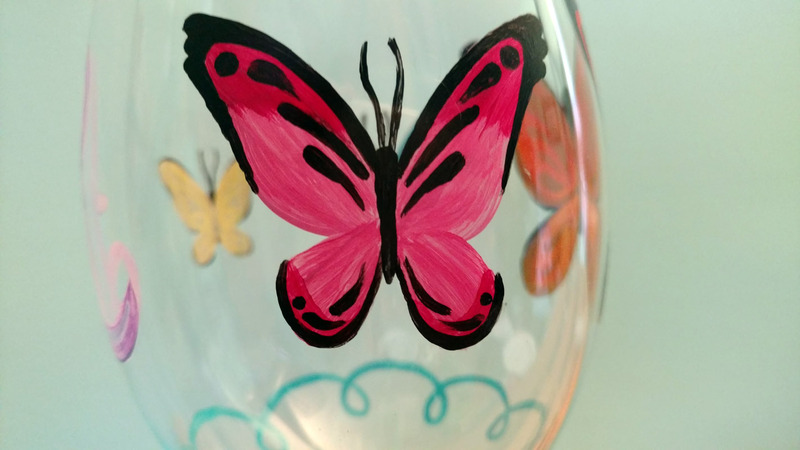 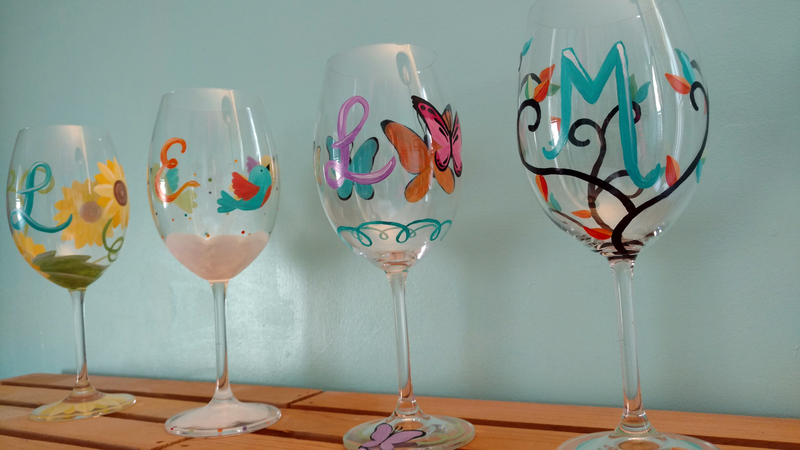 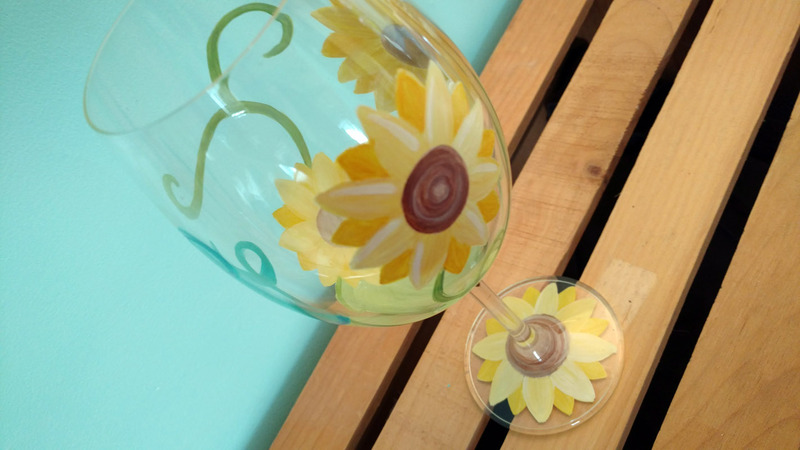 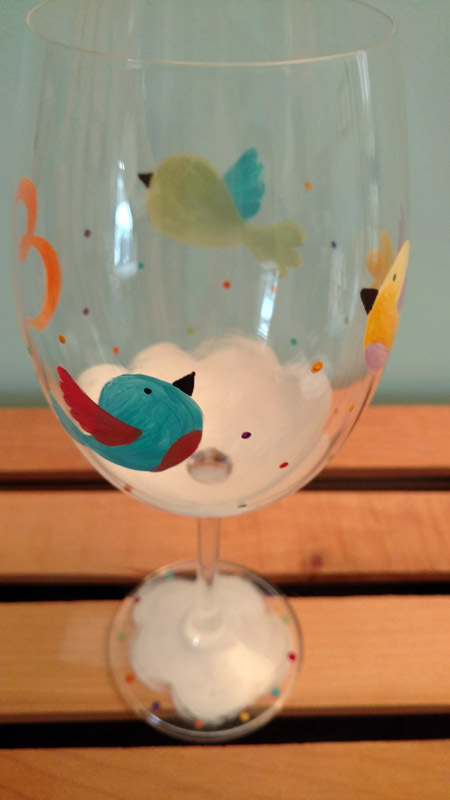 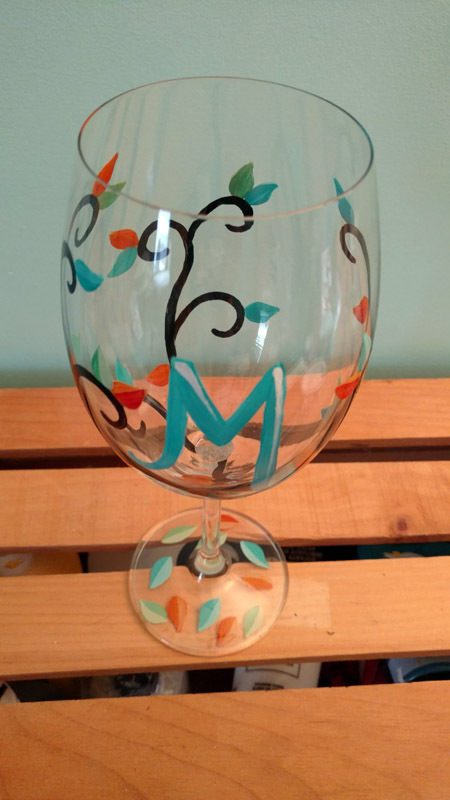 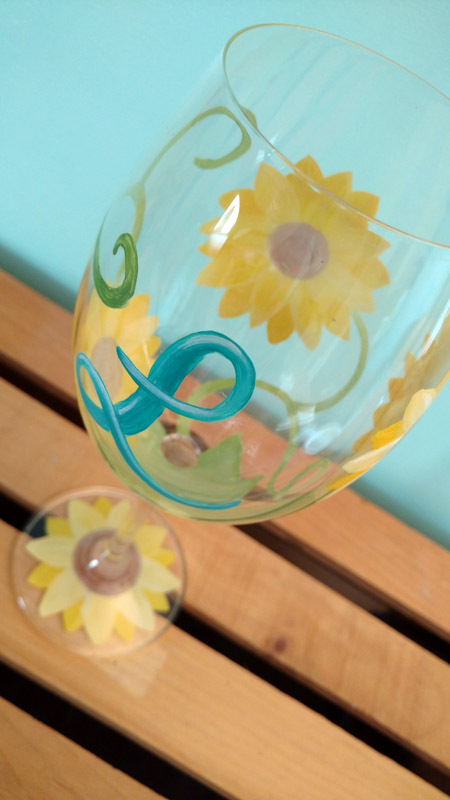 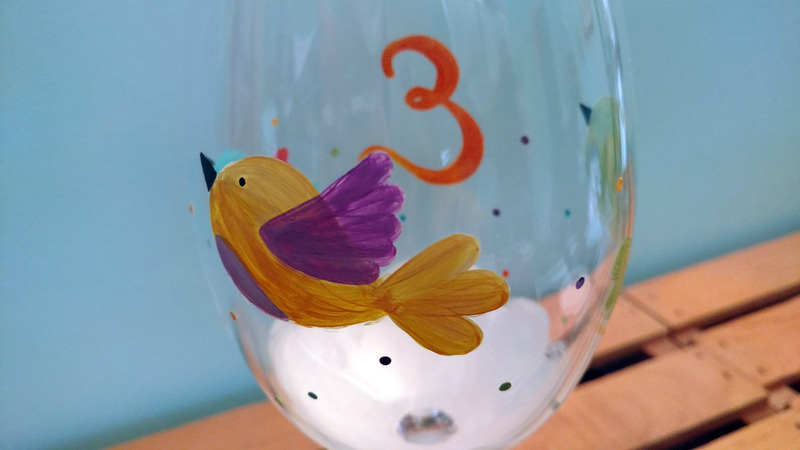 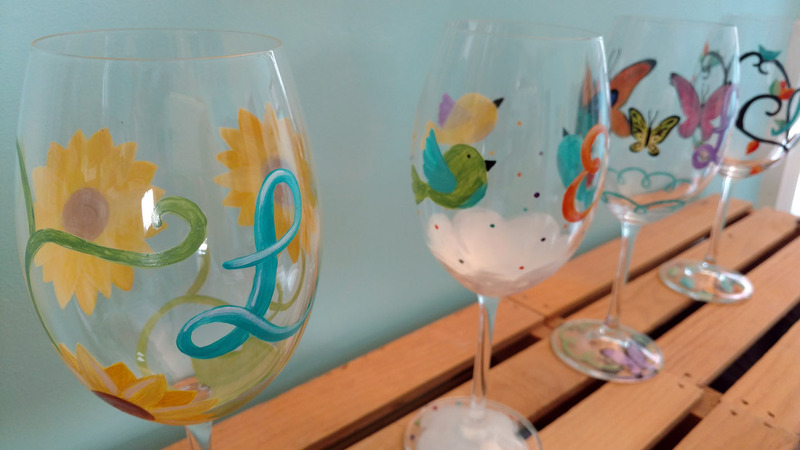 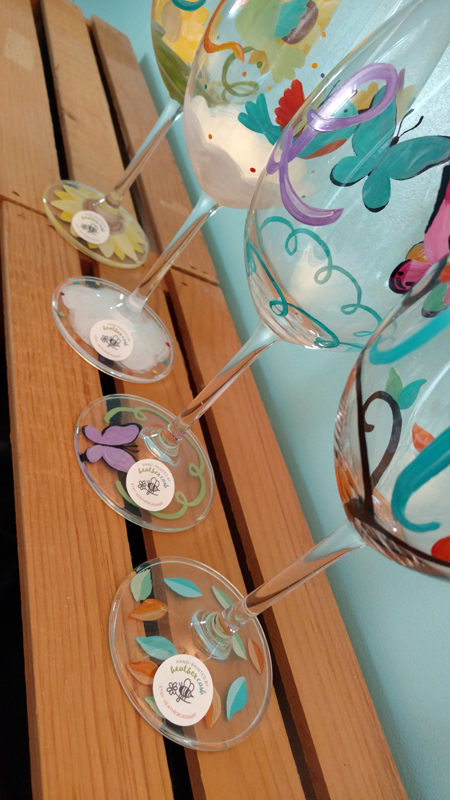 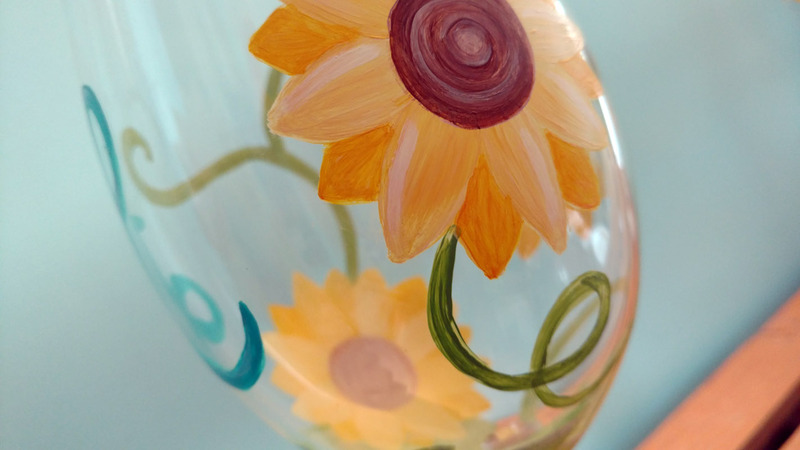 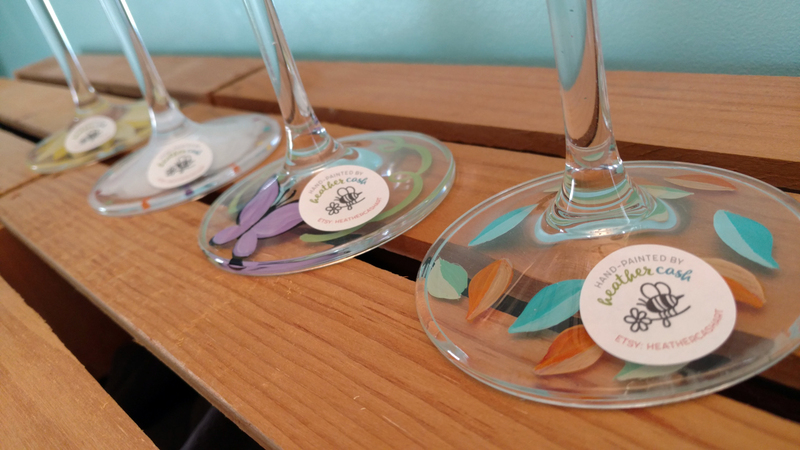 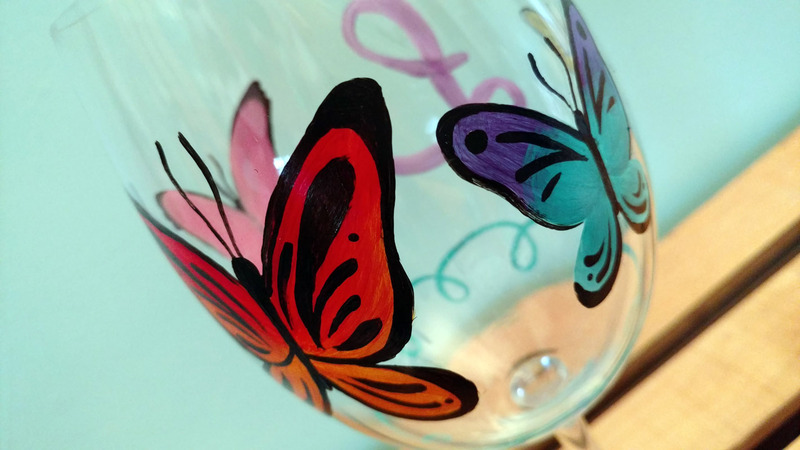 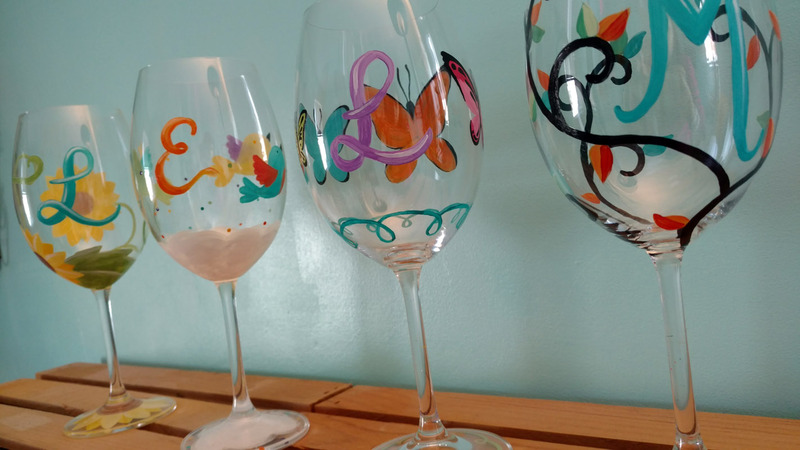 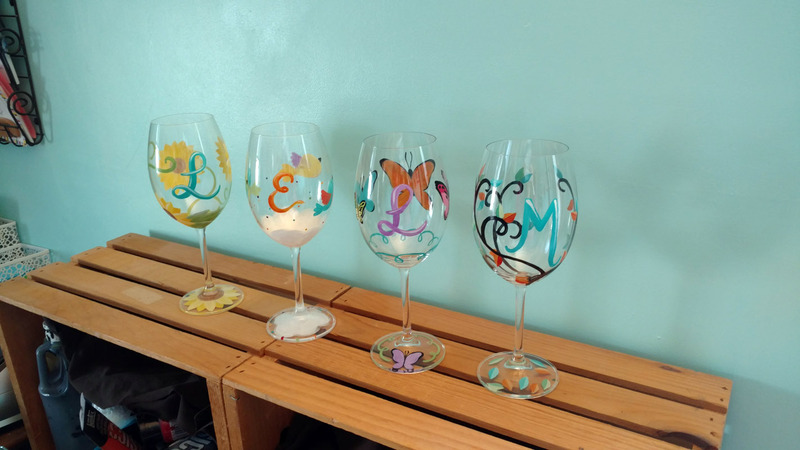 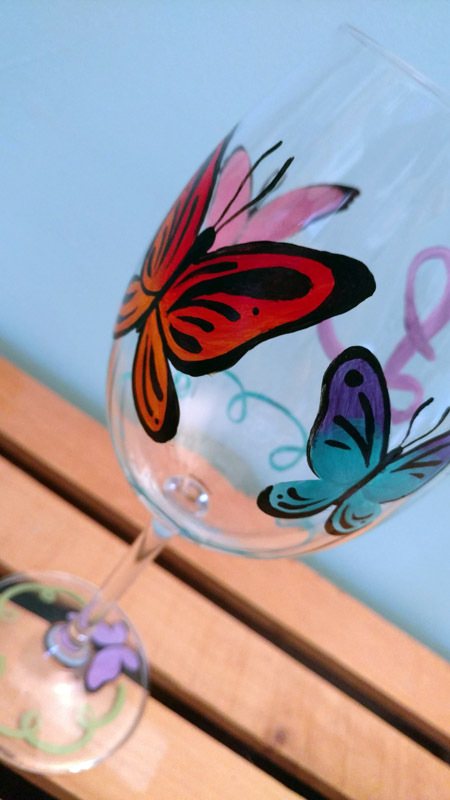 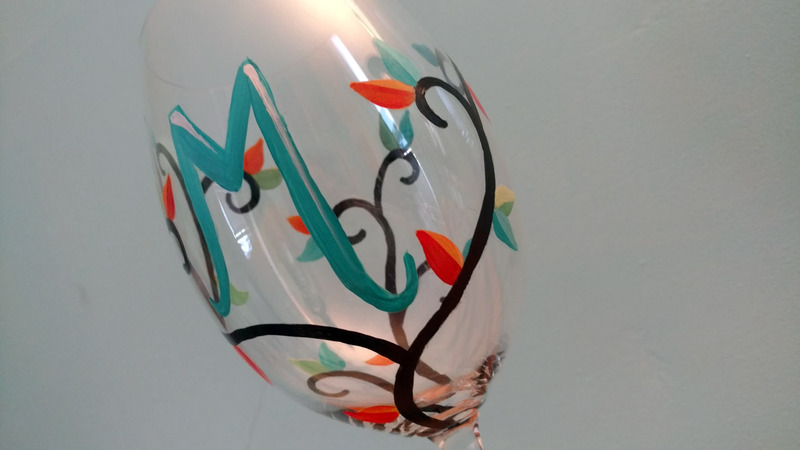 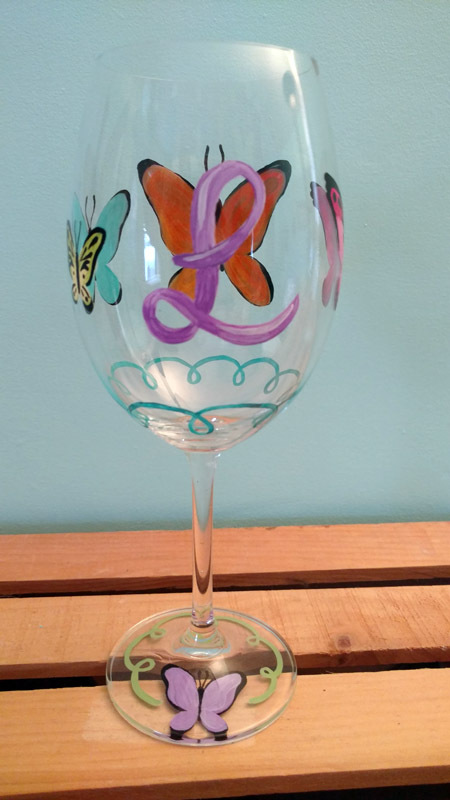 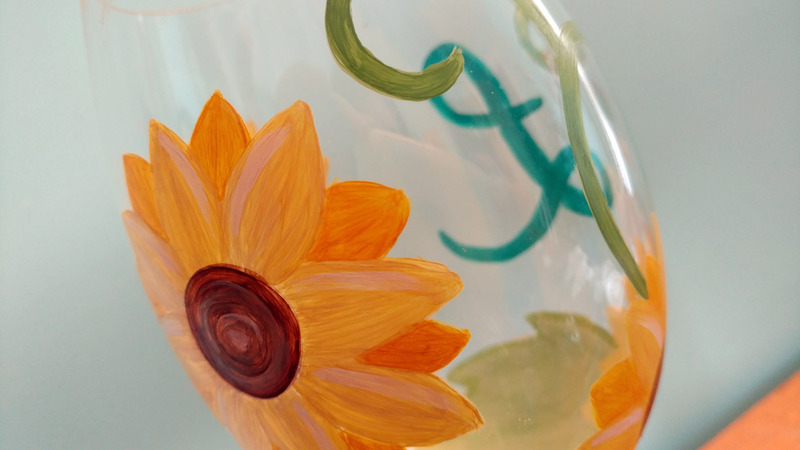 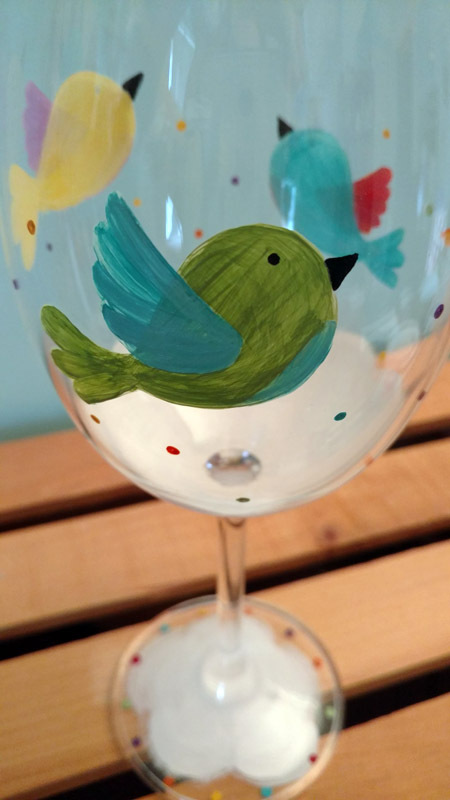 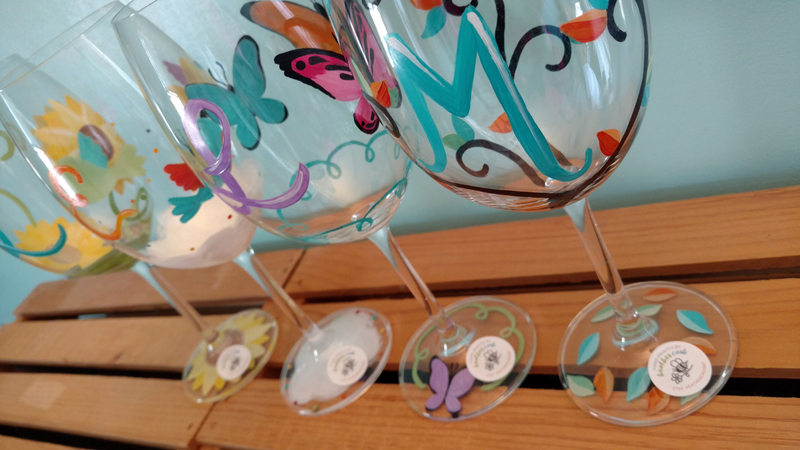 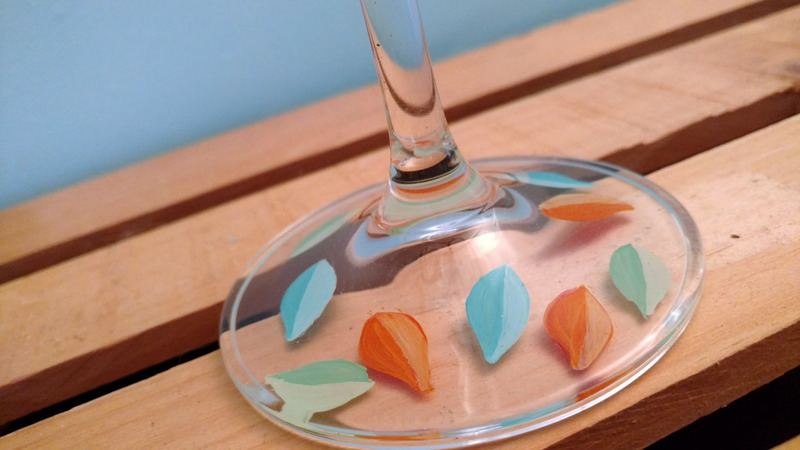 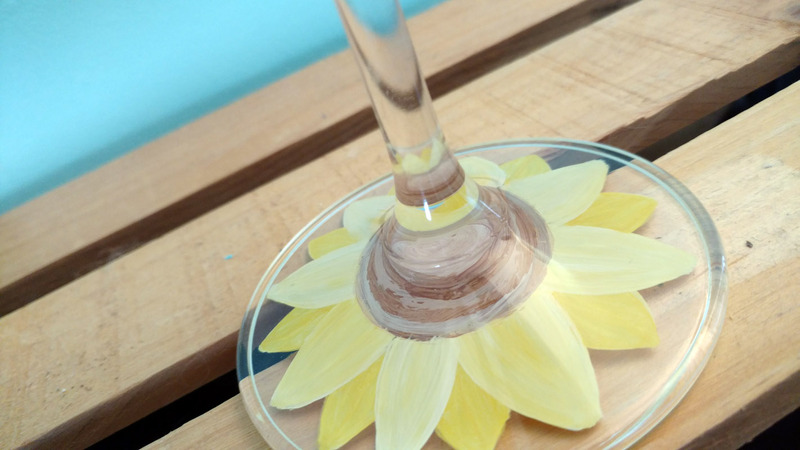 In December 2016, I was commissioned to paint 4 wine glasses as gifts for a mom to give to her daughter’s dance instructors. 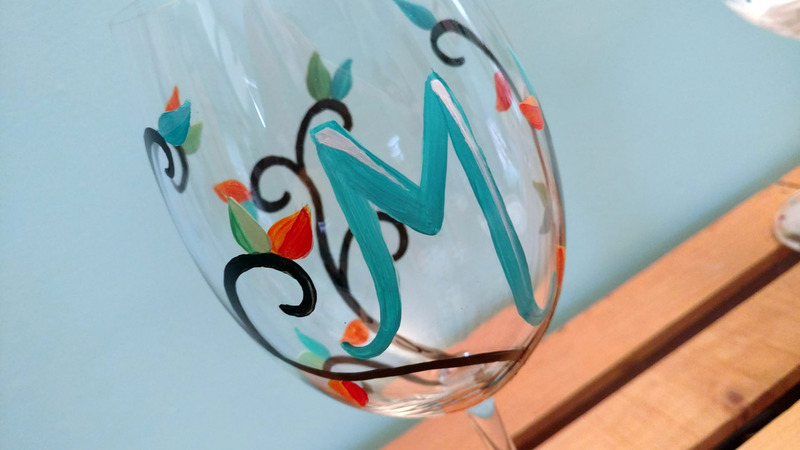 She told me the first letter of each instructor’s name, so that I could monogram them, and the rest of the design was up to me. 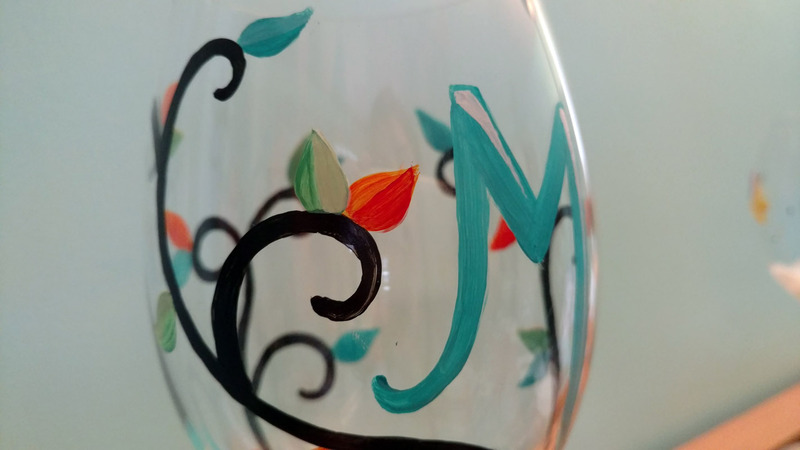 I loved having the freedom to create any designs I wanted! 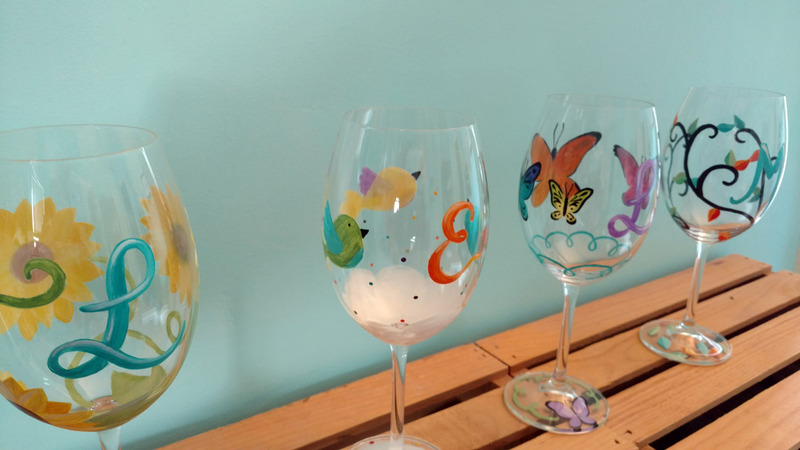 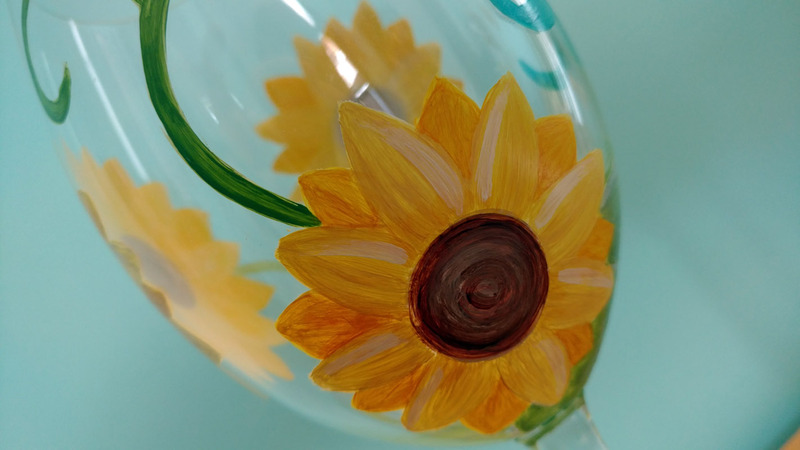 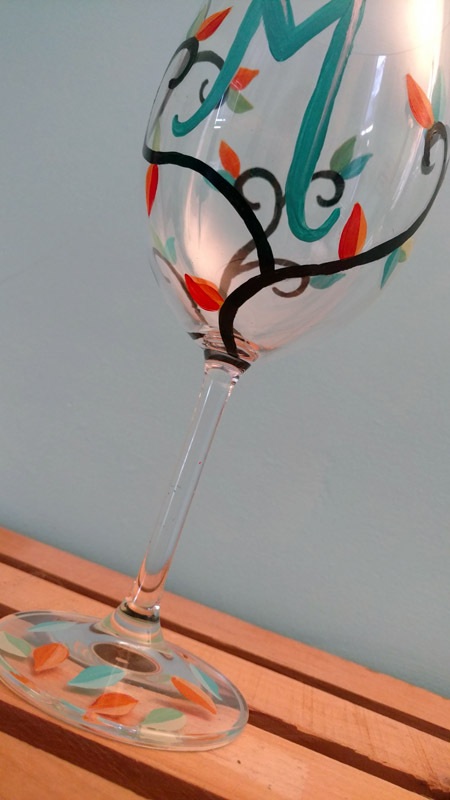 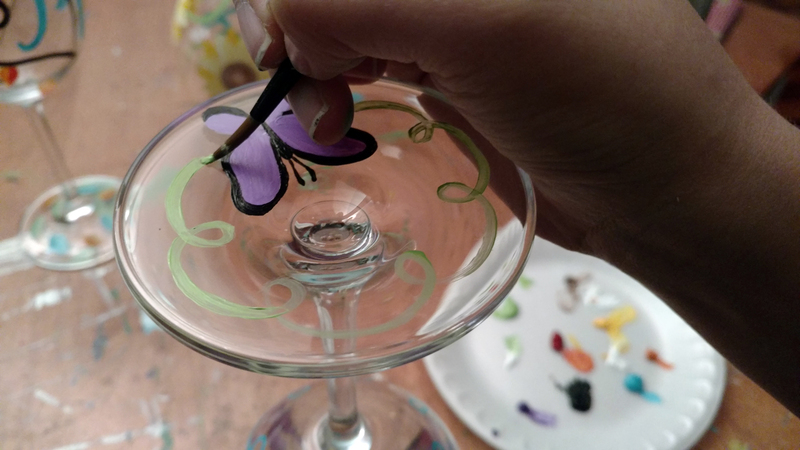 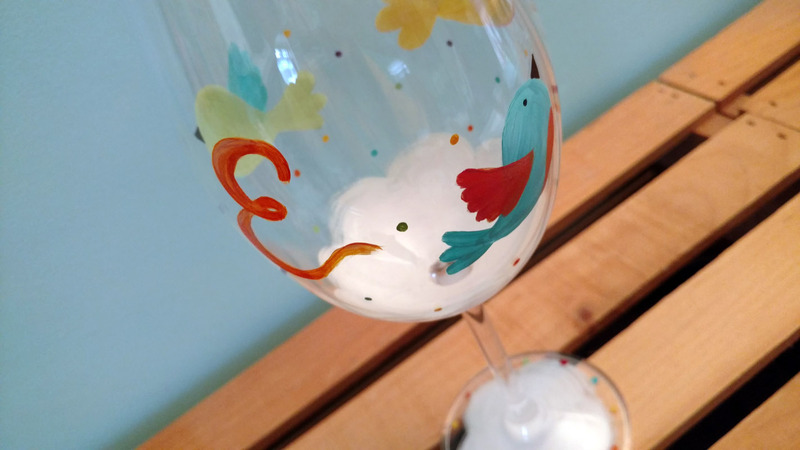 I used Acrylic Enamel paints by FolkArt, and baked the glasses in the oven to cure them.